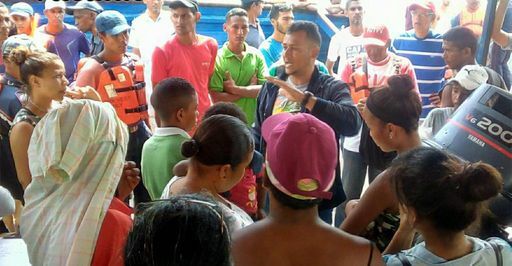 (Trinidad Guardian) T&T Coast Guard of­fi­cers and fish­er­men were up to late yes­ter­day as­sist­ing their Venezue­lan coun­ter­parts in a mas­sive search and res­cue mis­sion for 25 Venezue­lan mi­grants who re­mained miss­ing af­ter their boat sank on the way to Trinidad and To­ba­go on Tues­day night. (Trinidad Guardian) A 47-year-old taxi dri­ver was killed dur­ing an ap­par­ent rob­bery,on Thursday. 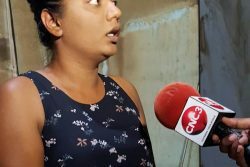 (Trinidad Guardian) An elec­tri­cal black­out at the San Fer­nan­do Gen­er­al Hos­pi­tal left pa­tients hun­gry and in tears yes­ter­day. (Trinidad Express) The bullet-riddled bodies of a man and woman found in a parked car off Pashley Street, Laventille, on Easter Monday were identified yesterday as those of Devon Jones and Erin Ali. 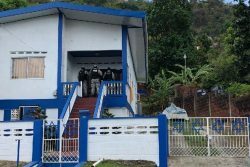 (Trinidad Express) What began as the kidnapping of a Carapichaima man and his girlfriend at the Waterloo cremation site on Tuesday night ended in his murder. 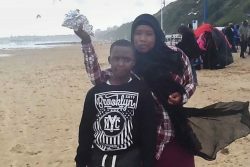 (Trinidad Guardian) A Trinidad & Tobago woman who mar­ried an ISIS fight­er in 2014, said she re­gret­ted her de­ci­sion even be­fore she ar­rived in Syr­ia with her new hus­band and her then 12-year-old son. 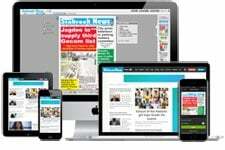 (Trinidad Guardian) Sur­veil­lance on Venezue­lans le­gal, il­le­gal and crim­i­nal. 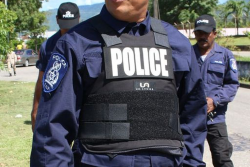 The TT Po­lice Ser­vice (TTPS) is mon­i­tor­ing the con­nec­tions be­tween Venezue­lan crim­i­nals who have been iden­ti­fied in T&T and the lo­cal gangs. 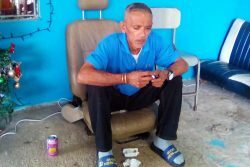 (Trinidad Express) Evidence is growing that Cunupia doubles man Barry Choon killed his family before he committed suicide in Toco more than a week ago. 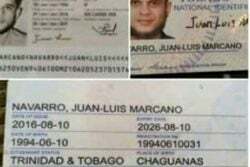 (Trinidad Express) Bail in the sum of $350,000 has been granted to each of the three men accused of holding four Venezuelan women hostage and sexually assaulting two of them in a “fake police station” in Diego Martin. (Trinidad Express) As the government of T&T, unlike its Caribbean counterparts, continues to fail to get T&T removed from a European Union blacklist even once, T&T could be about to lose close to millions of dollars in oil revenue this year, a French tax attorney confirmed over the Easter weekend. 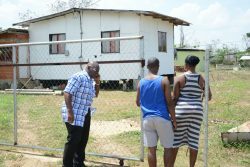 (Trinidad Newsday) Housing Minister Edmund Dillon says the movements of Venezuelan criminals in Trinidad are being monitored. (Trinidad Guardian) The at­mos­phere at the Queen’s Park Sa­van­nah was lit, es­pe­cial­ly with the over­pow­er­ing scent of mar­i­jua­na at Sun­day’s I Am Leg­end Con­cert but with­in all the fun, Gram­my-win­ning leg­end Bu­ju Ban­ton sobered the au­di­ence in call­ing the coun­try out on its ram­pant mur­ders. 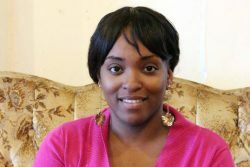 (Trinidad Newsday) A YEAR after she was diagnosed with an aggressive form of bone cancer, Arielle Fahey-Cadiz died at a New Jersey hospital on Sunday night. 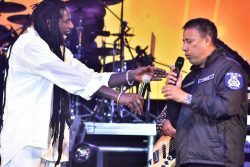 (Trinidad Guardian) Po­lice Com­mis­sion­er Gary Grif­fith yesterday de­fend­ed his de­ci­sion to ap­pear on stage dur­ing Bu­ju Ban­ton’s “I am Leg­end” con­cert, stat­ing if he had not done so, it would have re­sult­ed in a strained re­la­tion­ship be­tween T&T and Ja­maica. (Trinidad Guardian) De­spite a po­lice-en­forced Red Alert and a man­date for in­creased po­lice vis­i­bil­i­ty, there were nine mur­ders over the long East­er week­end. (Trinidad Express) The woman whose husband was killed by police officers during a domestic dispute in Chaguanas on Friday was chopped almost a dozen times by her spouse. (Trinidad Guardian) Hours af­ter de­fend­ing his of­fi­cers’ de­ci­sion to search the ho­tel room of Bu­ju Banton, Com­mis­sion­er of Po­lice Gary Grif­fith met with the Ja­maican reg­gae artiste to as­sure him of­fi­cers will not in­ter­fere with him or mem­bers of his en­tourage again. 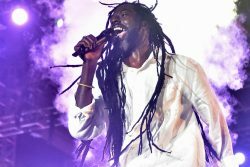 (Trinidad Express) “I never heard a thing. I have been good…” This is the response of newly Cabinet appointed Industrial Court judge Nizam Khan when contacted for comment on sexual harassment claims against him. 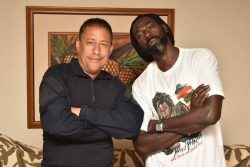 (Trinidad Guardian) Hours af­ter de­fend­ing his of­fi­cers’ de­ci­sion to search the ho­tel room of Bu­ju Ban­ton, Com­mis­sion­er of Po­lice Gary Grif­fith met with the Ja­maican reg­gae artiste to as­sure him of­fi­cers will not in­ter­fere with him or mem­bers of his en­tourage again. (Trinidad Guardian) There are re­ports of T&T ports be­ing used by Venezuela’s state oil com­pa­ny, Petróleos de Venezuela, SA (PDVSA), to avoid US sanc­tions. 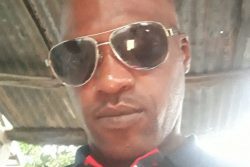 (Trinidad Express) Police officers shot and killed a man who was chopping his wife to death in Chaguanas on Friday. 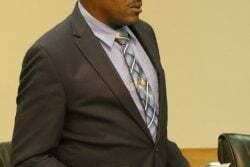 (Trinidad Guardian) An act­ing po­lice su­per­in­ten­dent with over 35 years of ser­vice has been ar­rest­ed and charged for un­law­ful­ly caus­ing the re­lease of a po­lice con­sta­ble with­out him be­ing pros­e­cut­ed for the of­fence of neg­li­gence in breach of the Firearm Act. 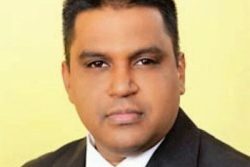 (Trinidad Guardian) Po­lice Com­mis­sion­er Gary Grif­fith yes­ter­day de­nied that po­lice of­fi­cers raid­ed the of­fices of Jaagri­ti TV. 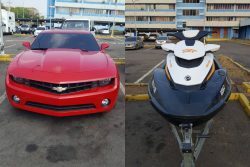 A co­caine ship­ment with an es­ti­mat­ed street val­ue close to TT$40 mil­lion, which was des­tined for Trinidad and To­ba­go, was in­ter­cept­ed by mem­bers of the Cuer­po de In­ves­ti­ga­ciones Ci­en­tifi­cas Pe­nales Y Crim­i­nal­is­tics (CI­CPC) in Venezuela yes­ter­day. 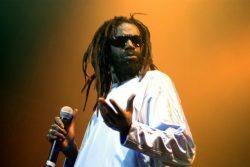 (Trinidad Guardian) Ja­maican dance­hall artiste Bu­ju Ban­ton has been grant­ed per­mis­sion to en­ter T&T this week­end for the “I am Leg­end” con­cert. 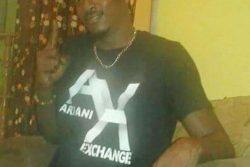 (Trinidad Express) The worst fears of the family of a missing Penal farmer came true when he was discovered murdered yesterday. 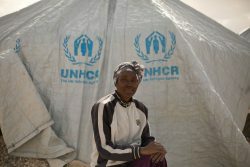 (Trinidad Newsday) THERE may be about 15 Trinidad & Tobago children in refugee camps in Syria, but a news story in the Daily Telegraph of London on Friday said a mother, who is a TT citizen, could not be accounted for. 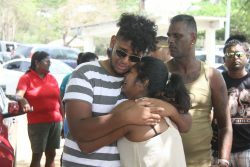 (Trinidad Guardian) A Ch­agua­nas fam­i­ly is count­ing them­selves lucky to be alive af­ter they were bound, beat­en and robbed by three masked ban­dits who al­so set their home of nine years on fire be­fore they fled the area as well. (Trinidad Guardian) “Blingers” and “Zessers” be­ware of Gov­ern­ment’s Ex­plain Your Wealth leg­is­la­tion. 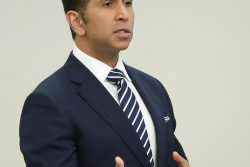 At­tor­ney Gen­er­al Faris Al-Rawi made this clear as he pi­lot­ed the con­tro­ver­sial bill in the Sen­ate on Monday. 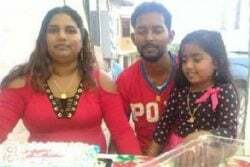 (Trinidad Express) Shalini Sookdeo-Choon was pregnant with her third child at the time her throat was cut, an autopsy found on Monday. 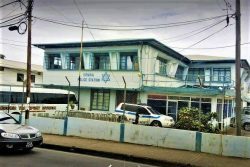 (Trinidad Guardian) Peo­ple will have to start keep­ing their re­ceipts and a pa­per trail of their pos­ses­sions— like jew­ellery— once the Ex­plain Your Wealth Bill gets go­ing, In­de­pen­dent Sen­a­tor An­tho­ny Vieira has rec­om­mend­ed. 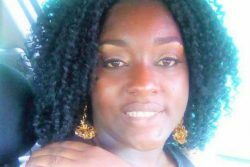 (Trinidad Guardian) Moya Gyan­dass paced anx­ious­ly along the Car­li Bay shore­line yes­ter­day, as the par­ty who went search­ing for her hus­band Sie­u­nar­ine Gyan­dass and neigh­bour Vedesh Mar­lo re­turned. 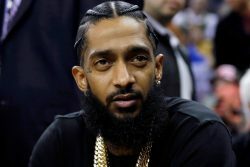 (Trinidad Guardian) When Gram­my-nom­i­nat­ed rap­per Nipsey Hus­sle (Er­mias As­ghe­dom) was fa­tal­ly shot in Los An­ge­les two Sun­days ago, so­cial me­dia was flood­ed with users, in­clud­ing renowned mu­si­cians, ac­tors, and ath­letes ex­press­ing dis­tress over his death. 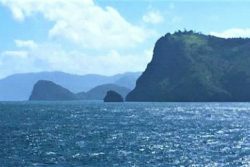 (Trinidad Express) Trinidad and Tobago Coast Guard (TTCG) is investigating an attempted piracy attack reported north-east of the Hibiscus platform, off Trinidad’s north coast on Sunday. 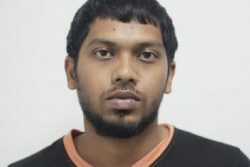 (Trinidad Express) Keshan Bajnathsingh appeared the Siparia court yesterday morning charged with the murder of Leisha Ramnath who was beaten and strangled to death. 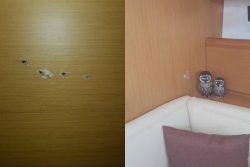 (Trinidad Guardian) Pres­i­dent of the Yacht Ser­vices As­so­ci­a­tion of Trinidad and To­ba­go (YSATT) Tom­my John­son, has re­port­ed an at­tack on a yacht by eight Venezue­lan na­tion­als. 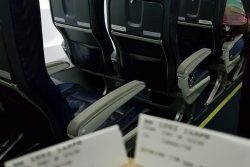 (Trinidad Guardian) Caribbean Air­lines (CAL) has de­nied claims that they left spe­cial needs pas­sen­gers off a Sat­ur­day night flight from Trinidad to To­ba­go al­though there were avail­able seats. (Trinidad Express) A police officer with eight years’ service appeared before the court charged with obtaining money by false pretences after allegedly selling a ring. 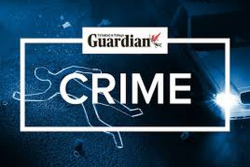 (Trinidad Guardian) Weeks of bit­ter ar­gu­ments and rage end­ed trag­i­cal­ly for Ter­ry El­lie on Sat­ur­day when he died from in­juries he suf­fered in a fight with a male rel­a­tive hours ear­li­er. (Trinidad Express) To his family, Barry Choon was a kind and gentle man who loved his children more than life. 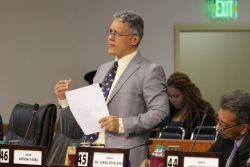 (Trinidad Guardian) A na­tion­al iden­ti­fi­ca­tion card bear­ing the name of a Venezue­lan na­tion­al has sparked an in­ves­ti­ga­tion and claims of vot­er-padding as the State gets ready to roll out an amnesty pol­i­cy to al­low mi­grants to live and work legal­ly in this coun­try. 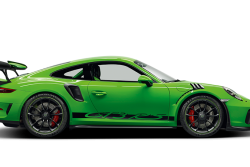 (Trinidad Guardian) It has been clas­si­fied as the largest fi­nan­cial crime in Porsche Cars North Amer­i­ca’s his­to­ry and it was al­leged­ly per­pe­trat­ed by Shi­raaz Sookral­li, 44, a man born to Trinida­di­an par­ents who has lived in the Unit­ed States all his life, but is re­port­ed to have deep busi­ness con­nec­tions in this coun­try. 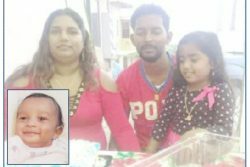 (Trinidad Guardian) To­co vil­lagers and sea­soned po­lice of­fi­cers re­coiled in hor­ror on Friday as the bod­ies of an eight-month-old ba­by boy and his sev­en-year-old sis­ter were found in a car with their dead parents. (Trinidad Guardian) Po­lice Com­mis­sion­er Gary Grif­fith wants Venezue­lans sus­pect­ed to be in­volved in crim­i­nal ac­tiv­i­ty to be de­port­ed im­me­di­ate­ly. 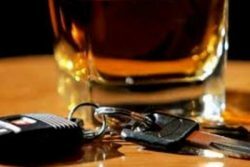 (Trinidad Express) A retiree has been placed on a ban from driving for the rest of his life after he was found driving drunk for a third time. 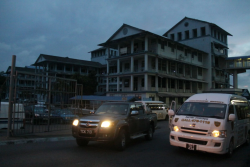 (Trinidad Guardian) To­co vil­lagers and sea­soned po­lice of­fi­cers re­coiled in hor­ror on Friday as the bod­ies of an eight-month-old ba­by boy and his sev­en-year-old sis­ter were found in a car with their dead par­ents.